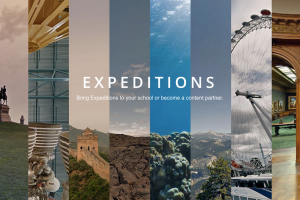 During this year’s Silicon Valley Virtual Reality Conference in San Jose, CA, two companies demonstrated technology that hold great promise for VR and education. 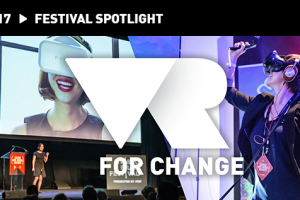 Both VReal and Altspace showed off applications that target the social capabilities of VR. 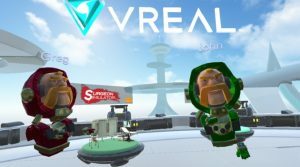 VReal’s live streaming app is similar to Twitch, a social video platform for the gaming community, but takes place in VR. For Twitch, users can see the screen that a player sees, hear their voice as they comment while playing, and chat with others watching the same live stream. Similarly targeted towards gamers, in VReal’s platform a person could be playing a VR game and then include others who would like to watch or chat. However, the major difference is that the observers no longer just see what the player sees, they are actually virtually transported into the same world that the player is playing in. Thus, if I’m playing Tiltbrush, and you have a VR headset of your own, you would be able to join me in my Tiltbrush “world” as I’m creating. You could move around on your own without me controlling where you’re looking and we could converse or chat in the same virtual space. 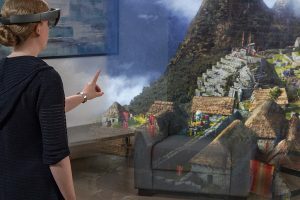 In essence, VReal is already building the “virtual classroom capability” of tomorrow, giving people anywhere to join the same virtual space, connect socially, and create shared learning environments! Altspace is creating a similar platform, designed to bring multiple users into the same virtual space. These spaces, which is different from VReal’s approach, are 3D-created spaces by Altspace where users can talk and interact together as avatars. Boiling it down, Altspace gives us the ability to have VR phone calls, VR meetings (even through Slack! ), and bridges that “isolation” feeling that critics of VR are needlessly worried about. 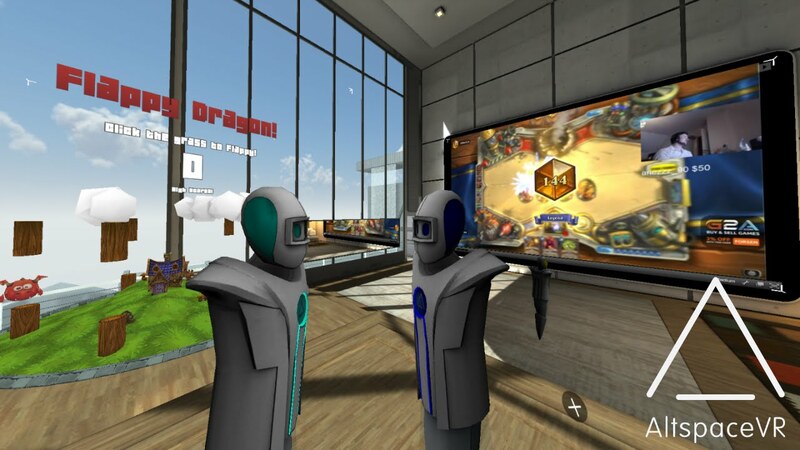 By the time VR headsets become present in more households and organizations, Altspace’s application should be a well-refined social VR tool. 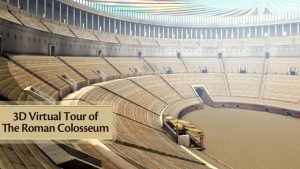 teacher a VR headset, place them in a virtual re-creation of the Roman Colosseum, and open the world to students to join. The students can look around, be immersed in the environment. and hear the teacher discussing points of interest. We already have dozens of learning management systems (LMS) to support the logistics of online schooling, bringing VR into the mix will create an engaging and effective platform that could revolutionize education.